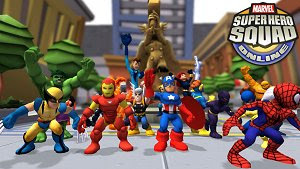 In Marvel Super Hero Squad Online, a free MMO brawler from Gazillion Entertainment (also responsible for Marvel Universe Online) that can be played in your browser, everyone can control chibi versions of their favorite heroes. Players select from characters such as Spider-Man, Hulk, Wolverine or Thor and enter exciting missions with a few friends. The cute visual style makes the game particularly interesting to younger players but its appeal isn’t limited to them.